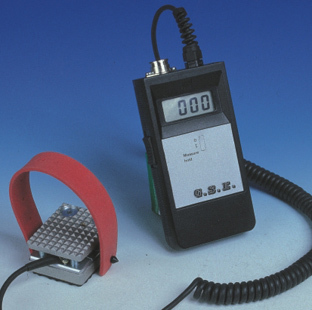 A brake pedal effort gauge is an instrument used in testing and servicing modern brake systems. A brake pedal effort, or force, gauge has a hydraulic plunger and gauge that measures the force applied by your foot, either in pounds or metric newtons. The gauge assembly is mounted in a steel bracket that attaches to the brake pedal.